Last year, Cota stepped up as one of three Intensive Case Manager (ICM) providers and participated in the Rapid Response pilot program initiated by The Access Point. The pilot was designed to divert people from a long intensive case management waitlist by connecting them with ten weeks of short-term case management service at the point of application. CMHA and Toronto North Support Services are the other two ICM providers who participated with Cota last fiscal year. “Because of the Rapid Response program, 150 people were diverted from the Intensive Case Management waitlist into immediate service. The program also demonstrated that many people benefit from short-term service - roughly half of the people who received Rapid Response had their needs met within ten weeks of service" reported Karen Mann (Executive Director, The Acces Point). Cota supported 86 people through this Rapid Response pilot. 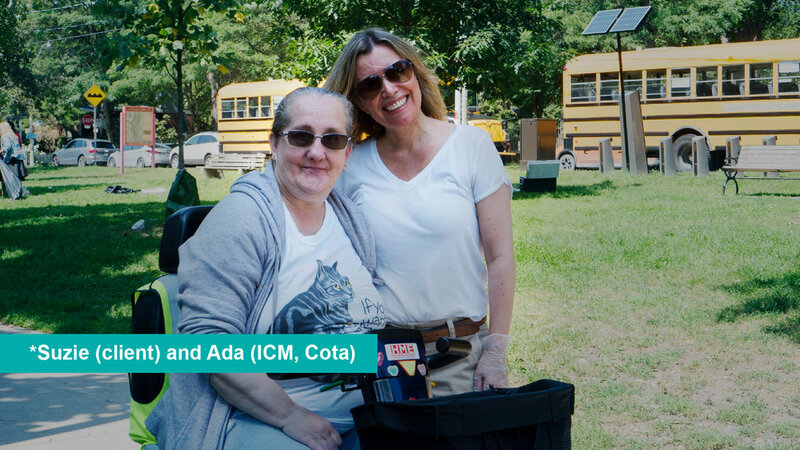 Ada (Intensive Case Managers, Cota) experienced firsthand how effective short-term case management is for some clients. One such client, Mark, received immediate supports from Ada over a 10 week period. “We managed to accomplish all of his goals,” she said.